Posted by OromianEconomist in Africa, China and Africa. Chinese-African investment has been dubbed ‘neo-liberalism with Chinese characteristics’. Africa’s trade links with Asian economies, where Africa supplies primary commodities and Asia supplies manufactured goods, simply replicate Africa’s relationship of dependency with Western traditional partners. There are grounds for this argument as many academics and policy-makers perceive China as another capitalist state following its corporate interest and profit motives (Li, Wenping, and Mbaye, 2010). Bond (2006) reiterates, ‘Chinese penetration only presents the ugly face of predatory capitalism’. Tane throws away all caricatures of ‘evil states’ and carefully evaluates the economic relationship between Africa and China; which is not a straight forward as one might assume. 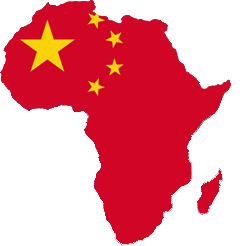 The economic impact of China’s engagement in Africa has been widely discussed by Western governments, and international and civil society have all expressed worry over China’s increasing presence in Africa. African organisations are beginning to voice their concerns China’s support for non-democratic regimes and rogue states. This has also raised concerns among Western donors over the negative implications of non-intervention on governance and human rights. Much of the Western critiques on China-Africa relations revolve around issues of democracy, human rights, good governance, accountability and transparency, often failing to grasp the broader picture of Chinese engagement (Mawdsley, 2008). 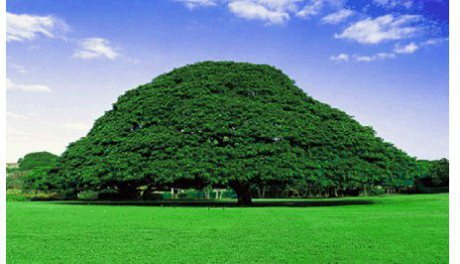 Posted by OromianEconomist in Africa, Africa and debt, Africa Rising, African Beat, African Poor, China and Africa, Corruption in Africa, Youth Unemployment. Decades after the European powers carved up the African continent for their own imperial needs, Africa is undergoing a new wave of resource and strategic exploitation – some are calling it the new scramble for Africa. The United States is increasing its footprint across Africa with AFRICOM, fighting terrorism and ensuring stability are the trumpeted motivations. Resource security is a more hushed objective. But it is not just about the US. During the last decade, China’s trade with Africa not only caught up with America’s, it has more than doubled it. The new battle for Africa does not deploy strong-arm tactics, it is now a soft power game: economic and humanitarian aid, interest-free loans, preferential trade agreements and investments in infrastructure are currency across a continent that is, for the world’s established and emerging powers, seemingly up for grabs. India, Brazil and Russia are all invested in Africa’s present and future, and old imperial powers like France are fixing to retain their loosening grip on the riches of former colonies. So what does all this mean for Africa and Africans? Posted by OromianEconomist in Africa, Africa and debt, Africa Rising, China and Africa, Colonizing Structure. ACROSS Africa, radio call-in programmes are buzzing with tales of Africans, usually men, bemoaning the loss of their spouses and partners to rich Chinese men. “He looks short and ugly like a pygmy but I guess he has money,” complained one lovelorn man on a recent Kenyan show. True or imagined, such stories say much about the perceived economic power of Chinese businessmen in Africa, and of the growing backlash against them. China has become by far Africa’s biggest trading partner, exchanging about $160 billion-worth of goods a year; more than 1m Chinese, most of them labourers and traders, have moved to the continent in the past decade. The mutual adoration between governments continues, with ever more African roads and mines built by Chinese firms. But the talk of Africa becoming Chinese—or “China’s second continent”, as the title of one American book puts it—is overdone. The African boom, which China helped to stoke in recent years, is attracting many other investors. The non-Western ones compete especially fiercely. African trade with India is projected to reach $100 billion this year. It is growing at a faster rate than Chinese trade, and is likely to overtake trade with America. Brazil and Turkey are superseding many European countries. In terms of investment in Africa, though, China lags behind Britain, America and Italy (see charts). If Chinese businessmen seem unfazed by the contest it is in part because they themselves are looking beyond the continent. “This is a good place for business but there are many others around the world,” says He Lingguo, a sunburnt Chinese construction manager in Kenya who hopes to move to Venezuela. A decade ago Africa seemed an uncontested space and a training ground for foreign investment as China’s economy took off. But these days China’s ambitions are bigger than winning business, or seeking access to commodities, on the world’s poorest continent. The days when Chinese leaders make long state visits to countries like Tanzania are numbered. Instead, China’s president, Xi Jinping, has promised to invest $250 billion in Latin America over the coming decade (see article). The growth in Chinese demand for commodities is slowing and prices of many raw materials are falling. That said, China’s hunger for agricultural goods, and perhaps for farm land, may grow as China’s population expands and the middle class becomes richer. 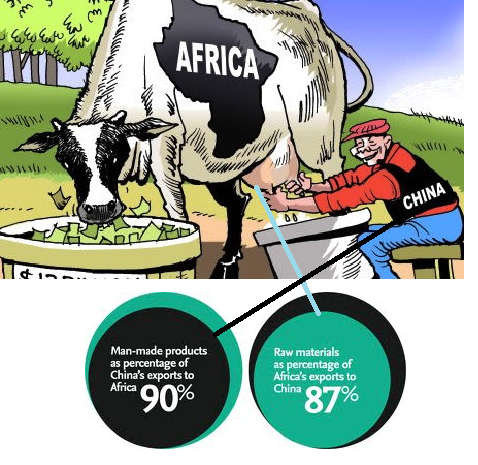 Yet Africans are increasingly suspicious of Chinese firms, worrying about unfair deals and environmental damage. Opposition is fuelled by Africa’s thriving civil society, which demands more transparency and an accounting for human rights. This can be an unfamiliar challenge for authoritarian China, whose foreign policy is heavily based on state-to-state relations, with little appreciation of the gulf between African rulers and their people. In Senegal residents’ organisations last year blocked a deal that would have handed a prime section of property in the centre of the capital, Dakar, to Chinese developers. In Tanzania labour unions criticised the government for letting in Chinese petty traders. Some African officials are voicing criticism of China. Lamido Sanusi, Nigeria’s former central bank governor, says Africa is opening itself up to a “new form of imperialism”, in which China takes African primary goods and sells it manufactured ones, without transferring skills. After years of bland talk about “win-win” partnerships, China seems belatedly aware of the problem. On a tour of the continent, the Chinese foreign minister, Wang Yi, said on January 12th that “we absolutely will not take the old path of Western colonists”. Last May the prime minister, Li Keqiang, acknowledged “growing pains” in the relationship. China has few political ambitions in Africa. It co-operates with democracies as much as with authoritarian regimes. Its aid budget is puny. The few peacekeepers it sends stay out of harm’s way. China’s corporatist development model has attracted few followers beyond Ethiopia and Rwanda. Most fast-growing African nations hew closer to Western free-market ideas. In South Sudan, the one place where China has tried to flex its diplomatic muscle, it has achieved embarrassingly little. Attempts to stop a civil war that is endangering its oil supply failed miserably.